I am honored, excited and ecstatic to share the latest project I've worked on: Time's End, a remix album of one of my favorite games of all time, Legend of Zelda: Majora's Mask. Many critics and gamers agree that this was one of the darkest, most inventive installments of the LoZ series, featuring not only a great storyline but also a fantastic soundtrack to boot. Soon when Theophany asked me to perform some vocal tracks to this album, I was only too delighted to contribute! Jason Gallaty (Theophany) approached me about this project very soon after the release of Harmony of a Hunter: 101% Run; we both sat in on the live stream of the album on Nintendo Radio; he mentioned several projects he was working on, and emailed me later that day to ask if I would be interested in singing for a few pieces for this project. My voice ended up on three of the tracks, Terrible Fate, Lovers Mask and Time's End. All of the tracks on this album are incredible reinterpretations of a deep, dark, overall stellar game, and I can't recommend it enough for Majora fans and newbies alike! Download link is available on Theophany's Bandcamp site. I hope you'll all check it out and support Jason and his amazing musical endeavors! Most of all--hope you enjoy! Happy Thanksgiving and Happy Holidays! :) Enjoying a nice week and a half off at home after our epic 2-month North/South American tour. But the fun begins anew soon: next week, VGL will be making its big Middle Eastern debut! A huge show in Dubai is coming up on December 14th; it will be an action-packed show for sure! Check out videogameslive.com for ticket info as usual. Get excited; I know I am!!! 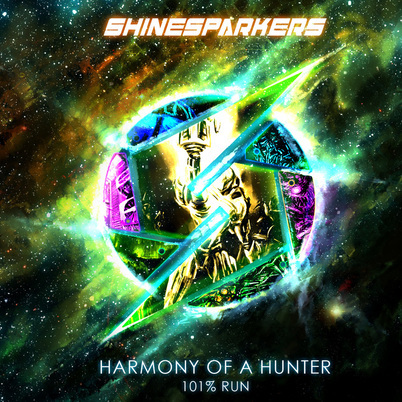 I am so excited to announce that I was a part of the amazing Metroid fan album Harmony of a Hunter: 101% Run! This was a project that I worked on all the way back in the spring, and I am so pleased to finally get to share it with you all. I was approached by Darren Kerwin back in April to work on this amazing collaborative effort. I asked my good friend and fellow composer Jared Cowing to team up with me to create a track for the album. We were in the same year of the composition program at Ithaca College, and I was so excited to get to work with him on such an ambitious project: a choir-heavy arrangement of the Temple Grounds / Light Temple themes from Metroid Prime 2. I fleshed out the bones of the arrangement; Jared wrote the first half of the piece, I the second. We reconnected with several vocalists we knew from our days at Ithaca College and traveled all over NYC, Long Island and Connecticut to record their voices. Then it was a team effort of sequencing the orchestra, while Jared took over cutting the recorded audio and mixing the voices and eventually the final track. I also ended up helping Jared on another track he took on, late in the game; a few original themes from the Metroid series had gone unclaimed, and Jared took on the epic “Hive Totem” battle theme from Metroid Prime. He created the entire arrangement himself and sequenced most of it; I ended up doing some additional brass and percussion sequencing. Lastly, I was approached at the very end by Darren and arranger Christopher Foss, to contribute my voice to his piece “Entropic Dream.” It was a beautiful track that I instantly fell in love with, so I was delighted to sing for it. Download the entire album here—my individual tracks are available on my Electronic Composition/Arrangements page. I hope you all enjoy the tracks I worked on: Altar of Aether, Entering the Hive, and Entropic Dream! Just a few more weeks until Video Games Live is on the road for a tour of gigantically epic proportions! We will be hitting four different countries on two continents for a span of almost two months, with over 20 shows of video game music magic. Lots of brand new segments will be premiered, two of which I actually arranged myself. All in all, it's going to be one heck of a ride, and I for one am SUPER. PUMPED :-D The confirmed dates so far are listed on my Calendar page; as usual check out the Video Games Live homepage for ticket info. See y'all on the road! After a nice long break this summer, VGL is kicking off the fall with an epic concert in Beijing! This time, we're partnering up with Blizzard Entertainment to put together a special concert dedicated solely to the music of World of Warcraft. With tons of brand new material, performing at the Mastercard Center under the baton of Blizzard Entertainment composer Russell Brower, this will be an unforgettable experience. I'll be performing several new pieces for the first time, as well as debuting my fancy, brand-spanking new Electronic Wind Instrument! As usual, check out the Video Games Live website for ticket information. Too excited!! SUPER EXCITED for the upcoming Video Games Live shows in Malaysia and Los Angeles! We'll be returning to Malaysia for a second time since 2010 with a brand new show, action-packed with lots of our newest segments! It's going to be a busy show for me, performing on 8 different segments--can't wait to see all of our Malaysian friends again :) We'll also be returning to LA with what is quite possibly the most epic show we have done to date. TONS of special guests and world premieres, you do NOT want to miss this one! 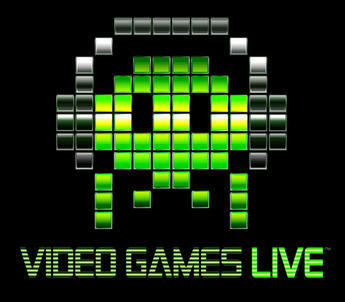 As usual, ticket information can be found at videogameslive.com Just two weeks until I'm back on the road, CAN'T WAIT!! Video Games Live "Flute Link" and "Flute Mario"
New post for the blog! This week, we're going way back to the era of my childhood--the early 90's--and checking out the great and glorious video game composer Bobby Prince. We'll be looking at one of his most memorable themes in the Commander Keen series. If last week's blog post gave you nightmares about music theory textbooks coming to eat your eyeballs, don't worry--this week, the scariest music theory term I use is "contour." YOU CAN HANDLE THIS :-D Enjoy the new sheet music on the Transcriptions page for the Map Theme and You've Got To Eat Your Vegetables from Commander Keen 4 and Laboratory from Bio Menace! More on the way! New post in the Blog this week! I do believe this may be my biggest one yet: digging in and analyzing the "Great Bay Temple" music from Majora's Mask. This one is a real doozy, get ready to travel into the most nerdy, geeky recesses of my brain :-P I hope everyone has fun checking out the new post--I mean who doesn't enjoy a good read about polythematic composition and harmonic planing? I KNOW I DO!! Enjoy the new music on the Transcriptions page of the Dungeon/Overworld from the original Legend of Zelda and Great Bay Temple theme from Majora's Mask. More on the way! After a few months of break-time, lots of VGL shows will be coming up soon! Video Games Live will be back on the road with shows in Ontario, Illinois, New Jersey, Maryland and Arkansas. I can't wait to be back on the stage performing with the VGL crew, it's going to be great fun to travel all over the map, visiting new places and old! Check out my new Calendar page for upcoming show dates, as well as the Video Games Live homepage for more detailed information. Hope to make lots of new friends at these upcoming shows! Big post in the Blog this week! I had a ton of fun putting this one together--this time, we look at the use of counter-melody in various pieces of video game music, and how it can add a whole new layer of meaning to the music. I hope you also enjoy the new sheet music on the Transcriptions page of Atlantis and Grunty Industries from Banjo-Tooie! More on the way! Another week, another blog post, woohoo! I'm on a roll! I hope everyone will enjoy the new post in the Blog about music theory, intention vs. intuition, and the musical connection between Donkey Kong Country 1 and 2. What a mouthful! Check out the Transcriptions page for sheet music of Bayou Boogie, Snakey Chanty and Swanky's Swing. More on the way! Happy New Year! I hope everyone's 2012 is off to a great start! One of my resolutions this year was to get more transcriptions done and maintain the Blog more regularly, so let's start off the year with some good old Zelda II. Check out my post in the Blog about the melodic structure of the Palace theme and its use of additive vs. divisive rhythm. Enjoy the new transcriptions of the Main Titles, Overworld and Palace! More on the way!